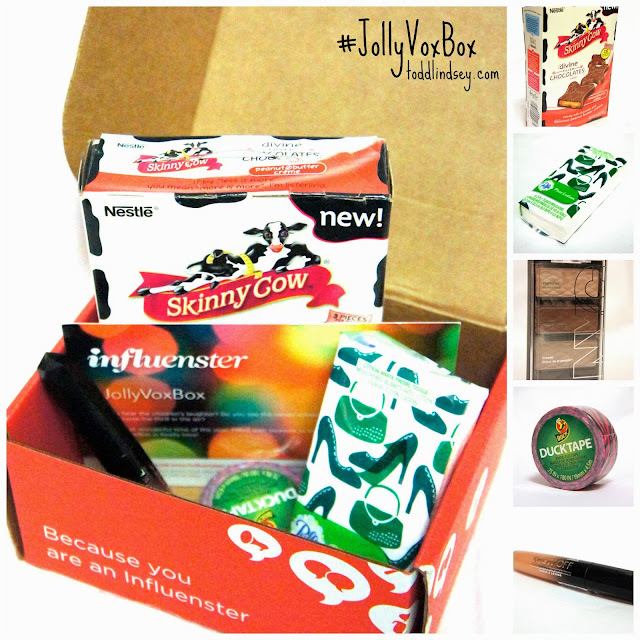 I got my first JollyVoxBox from Influenster this past week! You sign up for free and then they will send you stuff based on the answers you give to various surveys. I was so exciteddd! Disclaimer: These reviews are based on my own opinion and experience. Pros: Each pouch has three pieces for a total of 130 calories. Cons: Peanut butter filling is a bit salty. Overall: Although I don't count calories, I felt infinitely healthier eating "skinny" chocolate... Especially in this holiday season! I received Peanut Butter Creme and it tasted just liked the package described; "Velvety." Just one of the three pieces could quench my random chocolate cravings. On the other hand, the peanut butter filling could have a tad less salt for my tastebuds. Pros: Top opening package for easy, reusable access. Overall: I love mini tissue packages for my purse! The tissues feature a peel-and-stick top opening for easy and reusable access. I was surprised at how rough the tissues felt considering the label said "Plus Lotion". They are a good thickness however the tissue started to separate into two layers during minimal use. Pros: Affordable price. Dark shade is perfect for creases. Cons: Slightly crumbly consistency. Mislabeled package? Overall: I like how sheer the two lighter colors were. One was labeled as the "Highligher" but I think they both work well to brighten up the eyes. Although both beige colors, the shimmer in them lightened 'em up. I am not sure why the "Crease" color is lighter than the "All over lid" color... I think that was a packaging error. I really liked how matte the "All over lid" (or darker) color was and I used it for my crease. It gave a natural dimension to my eyes! The consistency of the powder was slightly crumbly when I applied it. I used one of my own makeup brushes instead of the mini applicator it came with. Overall: I believe the last time I wore lip gloss or product (besides chapstick) was back in high school. I really enjoyed playing around with this product however I believe the color was too close to my skin color. It looked like my lips disappeared! I would love to try this product in a more pinkish color. It was very sheer and sparkly however be ready to keep reapplying... It doesn't stay on long! Pros: Great compact size. Fun and colorful patterns. Cons: Not meant for large, extreme crafting projects. Overall: Duct tape can fix anything right? With this pocket-sized version, I can fix anything, anywhere! It can fit in my purse or pocket! If you plan on crafting with it, don't count on it lasting long! Because of it's fun pattern, you will want to use the whole roll in one sitting. 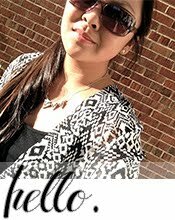 I am absolutely in love with the black and pink zebra pattern I received... Influenster must know me well! This is pretty cool, nice stash! Wow! It looks like you received some great things! The zebra duck tape sounds cool! Makeup is strange. I think its consistency sometimes depends on the temperature when it was delivered! Easy to say because I live where it is super hot for four or five months! Happy Holidays and a Blessed Christmas to you and your hubby! I hope all is well with school! Great reviews! This looks fun. Opening a box of goodies can only make your day better. Merry Christmas! Merry Christmas to both you and Todd and God bless all of your New Years project in 2014!